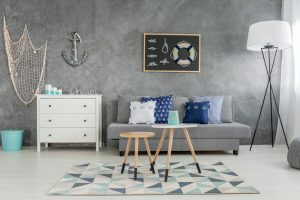 Whether you long to cruise through the oceans or simply love to unwind by the sea, a beach styled house is the ideal place to embrace your love for the deep blue sea. Beach styled houses have one thing in common – they are light, breezy, and serene, thanks to the extensive use of muted tones like hazy blue, pale green, white and beige. 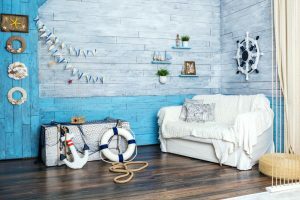 If you are totally in love with the sun, the sand, and the sea, then beach style decor is just right for you. 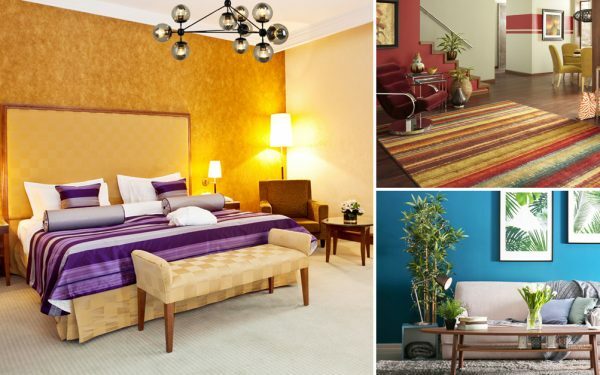 Here are 7 tips to add some beach style décor to your interiors. 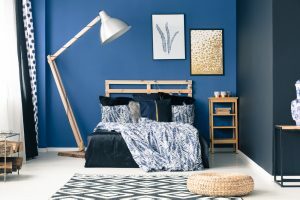 Blue happens to be the color of choice when you’re opting for a beach style decor. 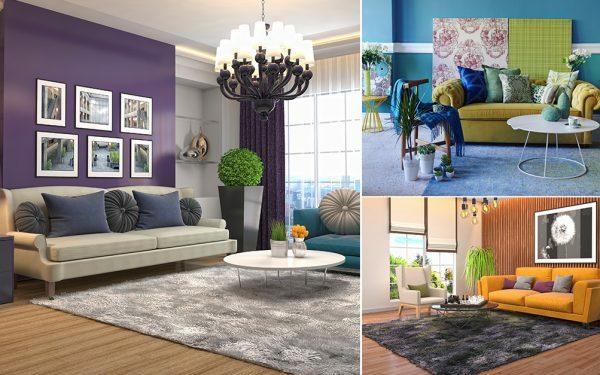 You can use different shades of blue like seafoam, light blue, cobalt blue and turquoise to turn your home into a beach styled house. 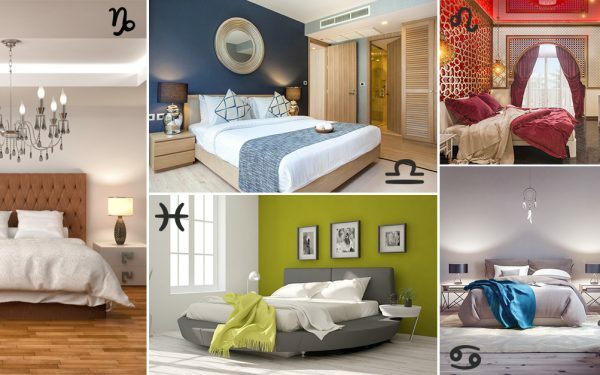 However, if you are looking for a modern beach styled interior, try out indigo. 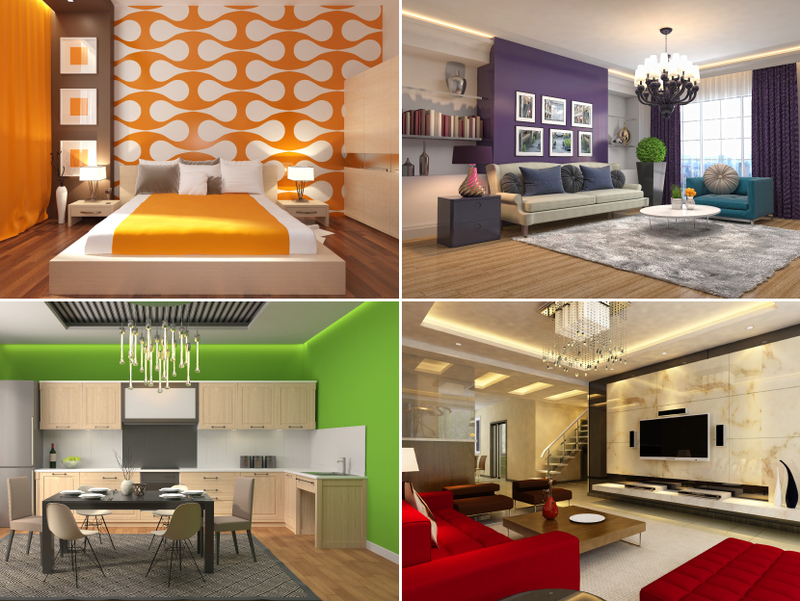 The color blends well with wood tones, whites, and darker hues alike. 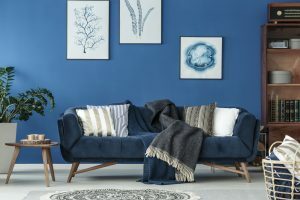 For instance, in the room above, the designer has used an indigo-colored couch against a navy-blue wall. 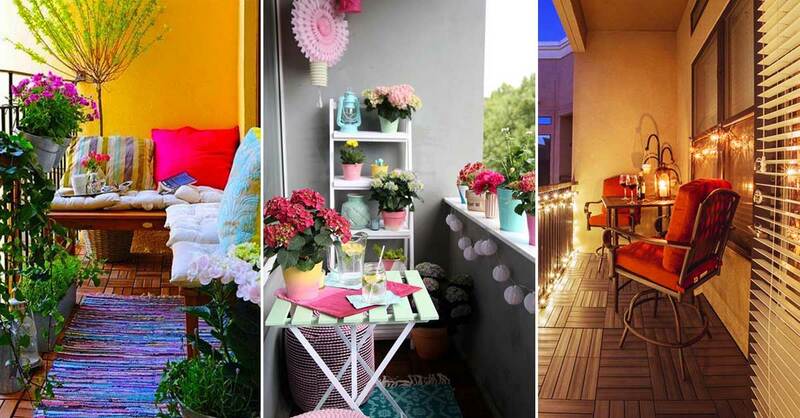 Make use of bold stripes and cheerful patterns to embrace beach style decor. Here, the beach-inspired striped wall in the bedroom help set the perfect mood. 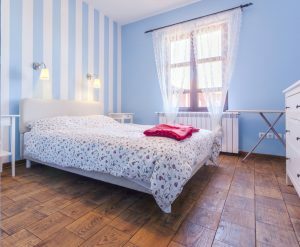 You can also think of incorporating stripes in the form of accessories, a coastal striped throw on the bed or couch, for example. When looking to infuse beach-style decor, think of organic materials like wicker, rattan, sisal, and seagrass. 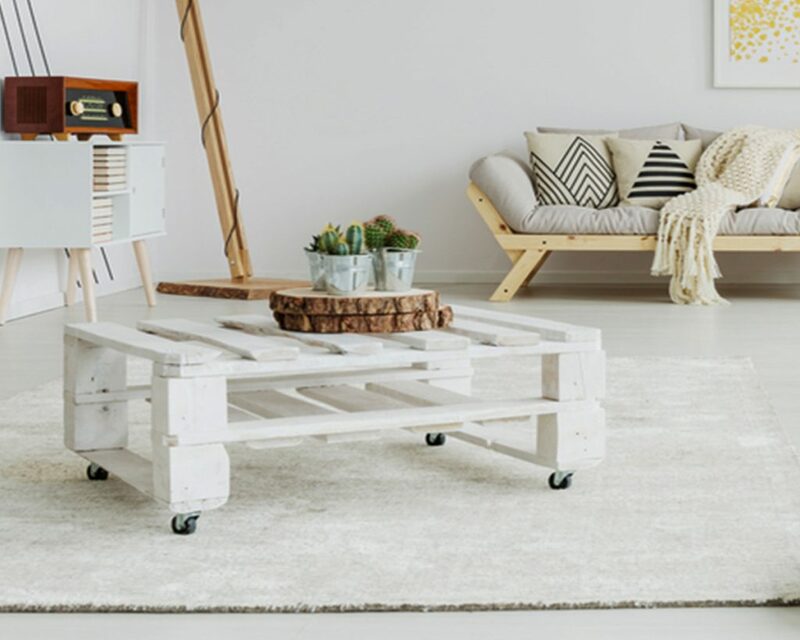 These materials will help to add a perfect beach vibe to your space. 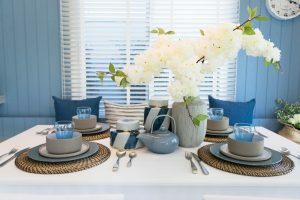 Even if you live miles away from the beach, in the middle of the city, you can always create a dazzling beach inspired table scape in your dining area. All you require are some coastal elements to layer your crockery with. Think of adding a striped or nautical tablecloth, hurricane candle holders and anything else that seems to give you a beach vibe. 5. Don’t like blue? Well, Skip it then! Though blue is the most common color for beach style decor, you can always skip the color and still have a stunning beach house. 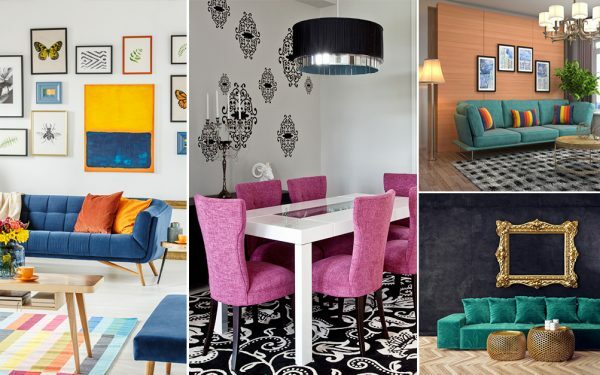 For instance, in the above picture, the designer has used pale shades of sand (white and beige) and a vibrant tone of green in the living room to give it a beach-like vibe. 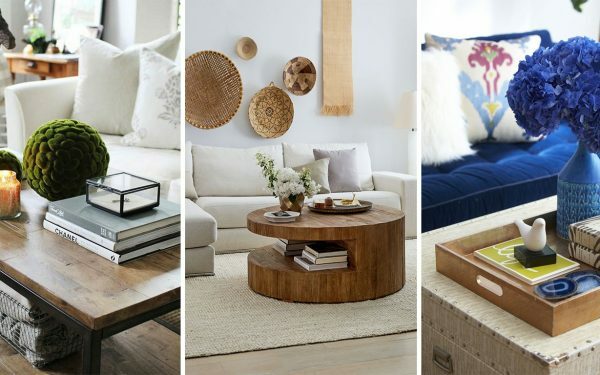 Add slipcovers to your sofas and chairs to bring in a serene and relaxed beach vibe in your home. Use cotton linens in neutral tones (white, khaki, and beige) and team it up with some beach inspired cushions to set the mood of the room. 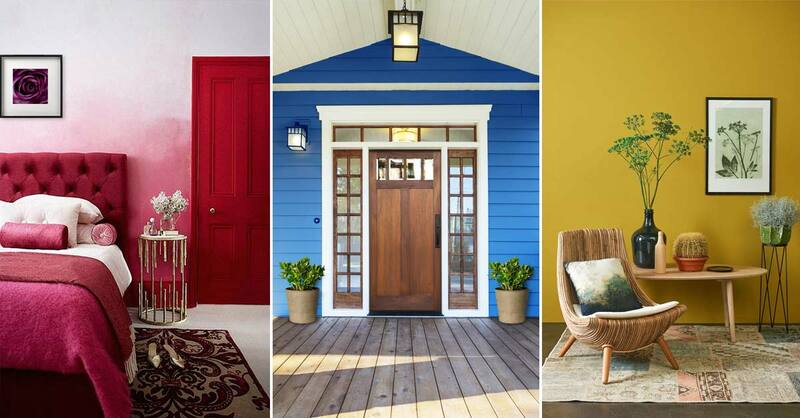 There are several ways to get the two-tone beach house look. 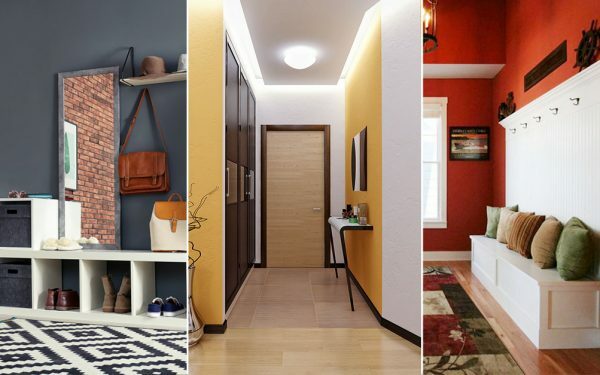 You can paint the walls in two different hues. 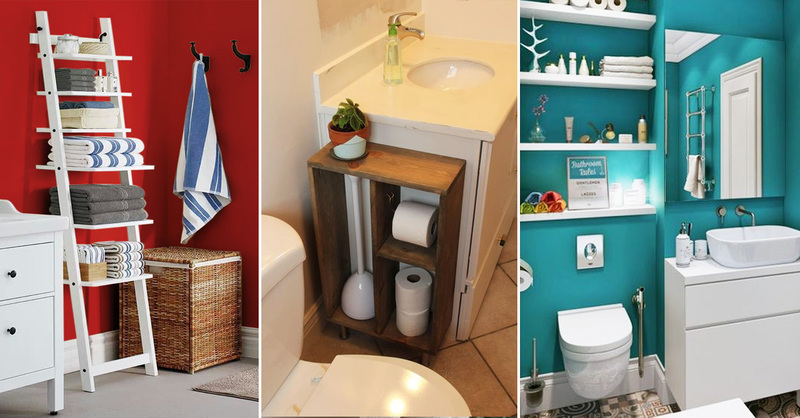 Or you can choose to wallpaper half of the wall, and paint the other half. You can also opt for nautical-inspired bead-board panels for the lower half of the wall and paint the upper half.